A consistent objective of the Former Yugoslav Republic of Macedonia (FYROM) since it achieved independence in the early 1990s has been to gain membership in the two flagship Western institutions, NATO and the European Union. Until recently, the principal obstacle to achieving those twin goals was FYROM’s insistence on using the name “Macedonia” for the country. Understandably, that provoked intense opposition from Greece as well as from Hellenic communities around the world. But obstacles other than the name issue are fast emerging. 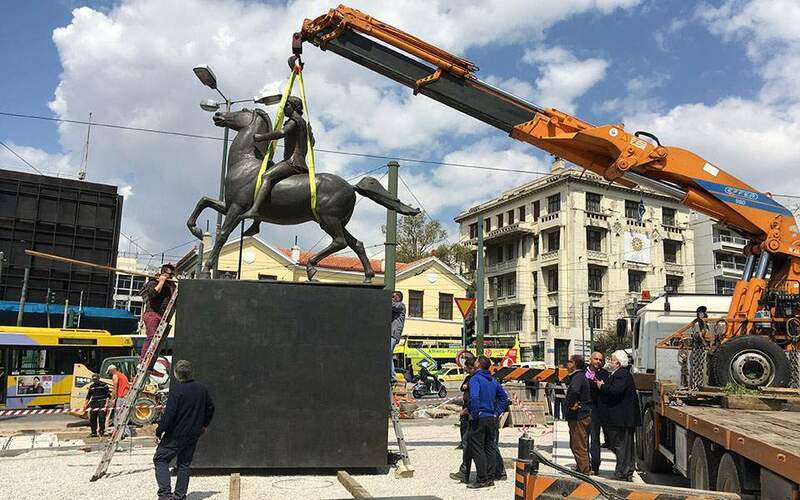 FYROM’s critics point out the historical reality that “Macedonia” properly refers to the northern region ofGreece, not the largely Slavic entity that emerged from the wreckage of Yugoslavia. Indeed,Belgrade’s use of “Macedonia” to describe that constituent republic of the Yugoslav federation was both an ethnic conceit and a calculated political strategy by communist dictator Josip Broz Tito to establish the foundation for territorial claims against anti-communist Greece. The crux of the latter argument was that the term Macedonia applied equally to territory on both sides of the border between Greece and Yugoslavia. Although both Tito and Yugoslavia have passed into history, FYROM’s political leadership seems to have inherited those broader territorial ambitions. Maps circulating in the capital city, Skopje, and other metropolitan areas show “Greater Macedonia,” an entity that includes not only FYROM’s current lands, but most of Greek Macedonia as well. Athens has firmly opposed such grandiose notions from the beginning. 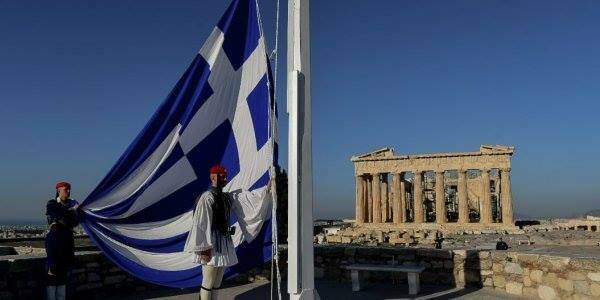 Indeed, opposition from the Greek government compelled a compromise on the name of the newly independent country. The authorities in Skopje wanted the new state to be known officially as Macedonia and to join the United Nations with that designation. 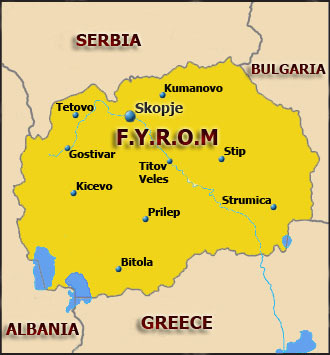 FYROM became the acronym for an admittedly awkward compromise when Skopje obtained its seat in the UN General Assembly in 1993. If it were only the name issue, though, FYROM’s chances of entering both NATO and the European Union—either with the current name or perhaps even as “Macedonia”—would probably be improving. Most political figures and opinion leaders in the EU regard the dispute as a petty, esoteric matter. That attitude is even more pronounced among political and opinion elites in the United States. Indeed, so contemptuous was the U.S. State Department of the position taken by Athens on this matter, that it now officially considers the country as Macedonia, not FYROM. 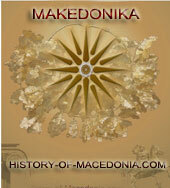 The Department even included a puff piece on “Macedonia” in an issue of the department’s monthly magazine. Nothing in that article suggested that there might be legitimate objections toSkopje’s use of that name. It would be logical to assume that even if U.S.and European leaders regarded the name dispute as a petty issue, they would defer to the wishes of a fellow NATO and EU member,Greece, to whom the issue is a very big deal. Yet, that is not happening. Instead, European governments—and even more so, theU.S.government–have been tilting toward Skopje. A growing lack of respect for Greece’s position was evident even before the recent financial turmoil in Athens. That development has further weakened respect for Greece, and undermined the remaining leverage that Athens might have regarding FYROM’s ambitions to joint NATO and the EU. Yet despite Greece’s declining status, FYROM’s prospects for membership in either NATO or the EU are getting worse, not better. There are a number of reasons for that situation. A crucial feature of European politics, especially since the end of the Cold War, has been based on the assumption that the nations of Central and Eastern Europe hunger to be part of the democratic West, symbolized by the European Union and NATO. A subsidiary assumption is that prospective new members will be willing to modify their domestic and foreign policies, especially abandoning narrow nationalist agendas, to maximize their prospects for membership. Until a few years ago, those assumptions seemed reasonable, although U.S.and European leaders even at that time tended to underestimate the continuing potency of nationalist sentiments in some regions, especially the Balkans. Given NATO’s frustrations over Afghanistan, burden sharing, and other matters, and the financial fiasco afflicting the EU in recent years, optimists now seem to be significantly overrating the importance, the appeal, and especially in the case of the EU, the likelihood of expanded membership. The leading EU powers might well wonder whether it makes sense to admit more small, relatively poor candidates from Eastern (especially Southeastern) Europe that might turn out to have the same weaknesses—and cause the same headaches—as Greece, Portugal, Spain and other troubled current EU members. Opposition to rapid additional expansion is clearly mounting in Berlin and other major European capitals. And FYROM would be among the weaker candidates for membership in any future round of EU expansion. The Cyprus experience also works against FYROM’s ambitions. 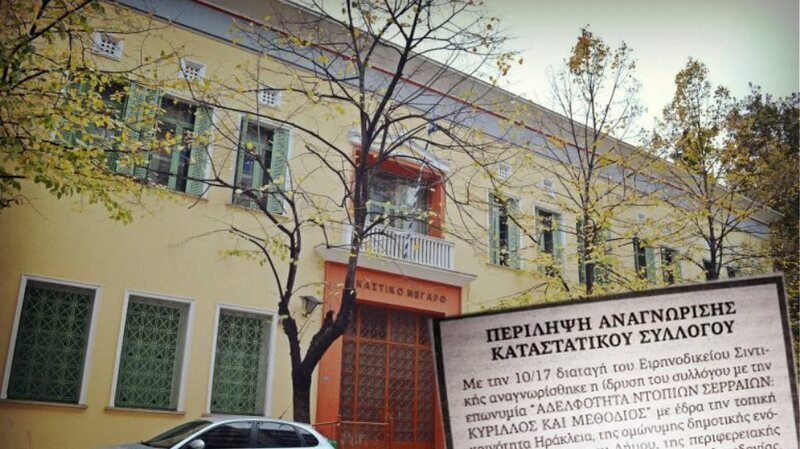 Although the EU courageously decided to admit the Republic of Cyprus without insisting that the country’s territorial division be resolved first, European diplomats now privately (and sometimes publicly) contend that the decision was a mistake. As tensions between Turkey and Cyprus heat up again, this time over off-shore drilling issues, that belief is likely to grow. The trend is toward postponing membership decisions with respect to countries that have unresolved territorial issues or major problems with neighboring states. That means, for example, that Serbia (because of the dispute over Kosovo’s independence), Kosovo itself, and Bosnia-Herzegovina (because of its bitter ethnic divisions and general dysfunctional nature) will not likely receive membership invitations anytime soon. FYROM is in a similar position for two reasons. One is the ongoing dispute over the country’s name, and the lack of clarity whether Skopje is prepared to repudiate any territorial claims over the real Macedonia. 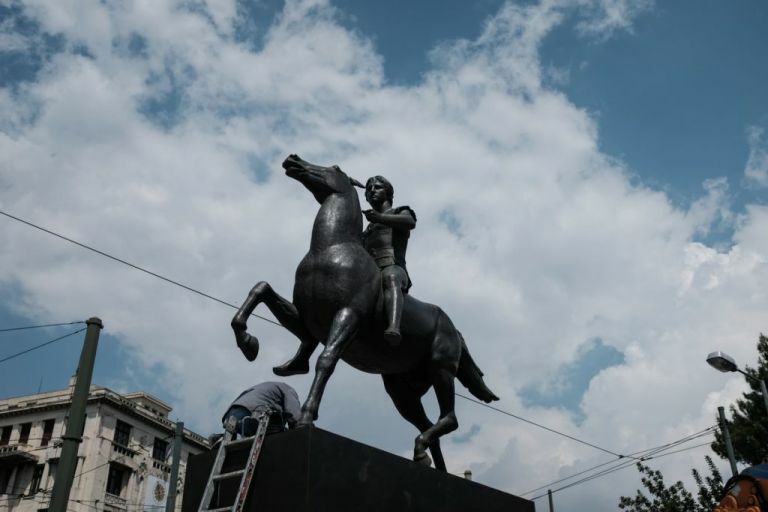 The other obstacle is Skopje’s festering problems with its restless Albanian minority concentrated in the northwestern portion of the country. That situation looks like another potential Kosovo-style secessionist conflict in the making. Given the EU’s current political and economic headaches, there is little incentive to take on yet another one by offering membership to FYROM—even if Greece retreated from its determination to block a membership bid until Skopje abandons its expropriated name for the country. Prospects for FYROM’s membership in NATO are not much better—even if the name dispute could be resolved. Several key European members, especially Germany, France, and Spain have already balked at further expansion of the alliance. That point became evident more than three years ago, when the United States pushed to offer a Membership Action Plan to Ukraine and Georgia. Opposition from leading European members of the alliance effectively blocked that move. Although hesitation is greatest about expanding NATO deeper intoRussia’s back yard and thereby needlessly antagonizing Moscow, there isn’t much enthusiasm either in the main European powers to add another layer of small, militarily insignificant “allies” in the Balkans. That is especially true regarding small militarily insignificant allies that have quarrels with their neighbors. And FYROM fits that description perfectly. What about the attitude of the United States? Washington’s support remains Skopje’s best hope for NATO membership, and to some extent, even for joining the European Union. The views of the United States, as NATO’s leader, obviously carry considerable weight, and U.S.officials seem to have a romanticized view of FYROM (just as they do about another troublesome entity, Kosovo.) But Washington’s clout within the alliance, while still considerable, is not what it used to be. The major European states regard the threat environment in their region as relatively benign, and since there is no looming security threat from a great power, they are less inclined to defer to the United States, especially if they believe there are good reasons for opposing Washington’s wishes. And in the view of many European capitals, having FYROM in NATO entails far more drawbacks than benefits. U.S.support for FYROM’s desire to join the EU is even less helpful. The leading EU powers have resented Washington’s previous efforts on behalf of any country’s bid for membership. That point has been quite clear from the hostile European reaction to U.S. lobbying to get Turkey into the EU. Although less prominent, the response has been no more favorable to Washington’s attempted meddling on behalf of Skopje. The bottom line is that FYROM’s prospects for membership in NATO or the EU are unfavorable and becoming more so. Even if Skopje abandoned its position regarding the name issue, its chances would improve just marginally. The larger political, diplomatic, and economic trends in Europe are all moving in the opposite direction.